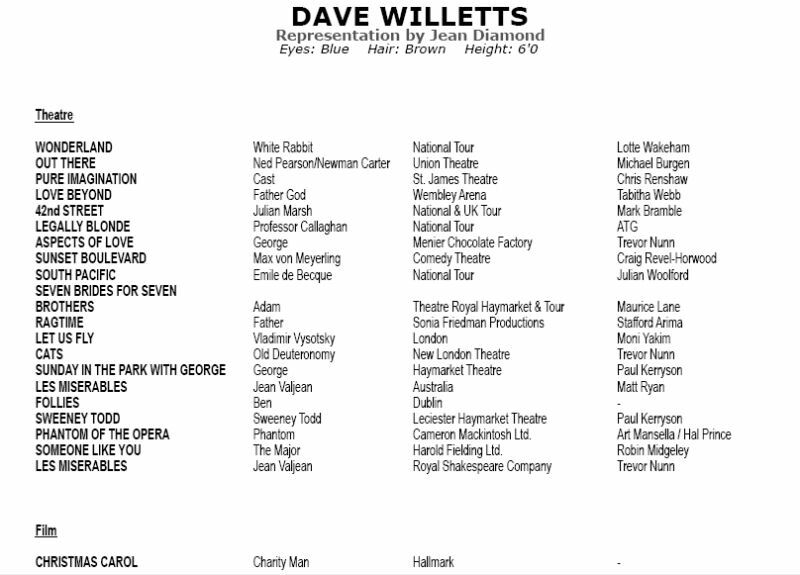 For over 25 years Dave Willetts has been one of this country's leading musical theatre stars. He has been critically acclaimed both nationally and internationally from Europe to Australia for numerous leading roles in some of the most renowned musicals of our time. He was the first person in the world to have played the leading roles in the two most successful shows of recent times, ;Les Miserables (London and Australia) and The Phantom of the Opera (London and Manchester) for which he won the Evening News Award for Best Performance. 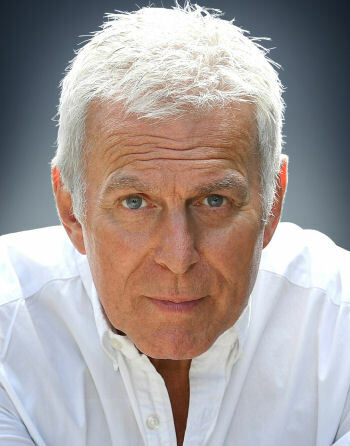 His other leading roles include Old Deuteronomy in Cats (London); Jesus in Jesus Christ Superstar (London and Europe); Father in Ragtime (London); Major Lee in Someone Like You (London); Adam Pontipee in Seven Brides for Seven Brothers (National Tour and London); Sweeney Todd in Sweeney Todd (National Tour); Ben in Follies (Dublin); George in Sunday in the Park with George (National Tour); Vladimir Vysotsky in Let Us Fly (London); Emile de Becque in South Pacific (National Tour); Max Von Mayerling in Sunset Boulevard (London), for which he received an Olivier Award nomination, Julian Marsh in 42nd Street (National Tour); Sir George Dillingham in Aspects of Love (London) for which he received a Whatsonstage award nomination, Professor Callaghan in Legally Blonde (National Tour); Jekyll and Hyde in The Man Inside (London); Father God in Love Beyond (Wembley Arena) and The Man in Pure Imagination (St. James Theatre, London) Ned Thomas/Newman Carter in Out There (Union Theatre) and White Rabbit in Wonderland (National Tour). Dave has many international concert appearances to his name, including the concert halls of Monterey, Mexico City, Los Angeles, Rotterdam, Munich as well as the Royal Albert Hall in London. He also has a successful recording career. His latest album, Once In A Lifetime, celebrates 25 years in showbusiness. Dave has guested on various TV chat shows and was honoured to be a subject of This is Your Life. Subscribe to the mailing list for updates about Dave's new album!